Did you coat / engrave the back with a reversed design? Are you planning to back or edge light it? Some general hints for all users: You can use an image and trace it in T2Laser, also use my DXF Optimizer to significantly reduce the etching time. I use CRC Dry Moly Lube as a coating. Just tried marker and flat black acrylic paint, but like the moly lube the best. Had a wine glass crack with the paint; don't know why, tho. Use Elekscam software, max power, 500 speed. Haven't really gotten the hang of your T2 software. Yes, spray painted the back with flat back paint, I reversed the design and then "Trace bitmap" in Inkscape. I've found that glass does not transfer light like acrylic does. 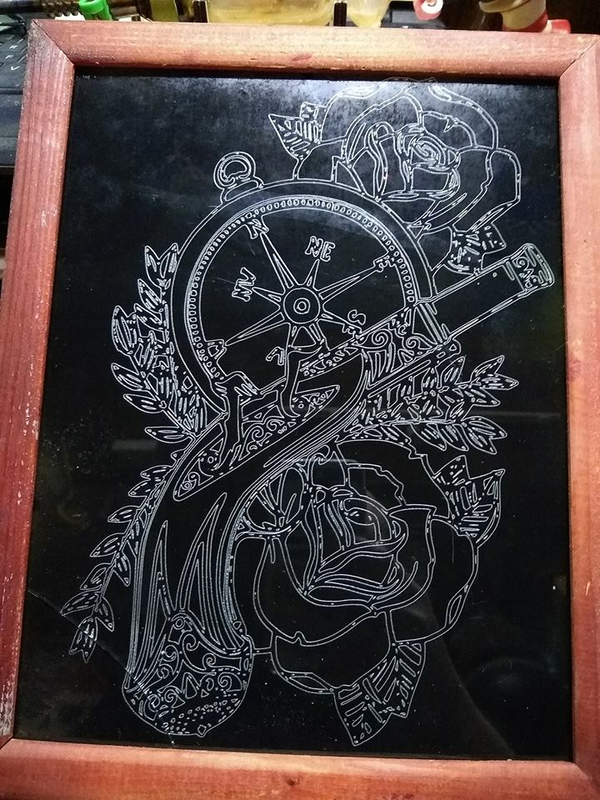 I need to acid etch or sand the edge of the glass and then it can light up. Where can I find the download for your optimizer? 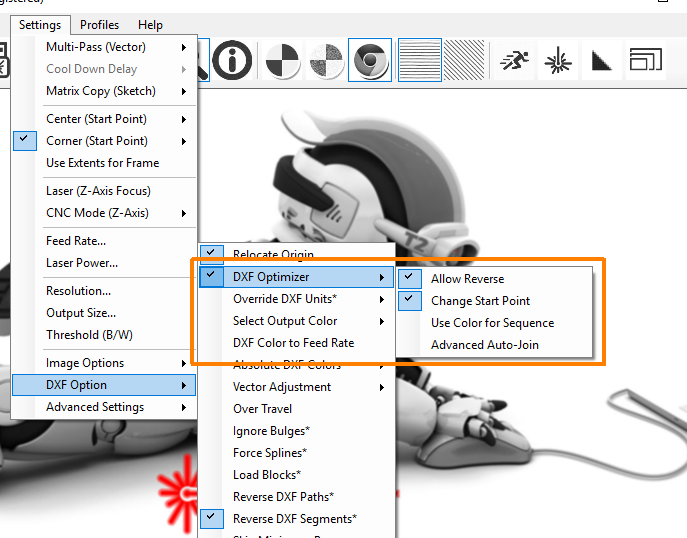 @KarrMcDebt It's integrated in T2Laser, select it in the DXF settings menu.